STUNNING WIDE PLANKS LOOK LIKE GENUINE SOLID WOOD. Most other floorings pale in comparison to the ultimate ambience of extra-wide hardwood floors. The VILLA GRANDE collection features long bevelled plank edges and original-scale panel dimensions to exude the sophisticated look of solid wood. Full room makeovers are now as easy as laying a new floor – one distinguished by its spacious and elegant style. And easy it is – both to install and to maintain. 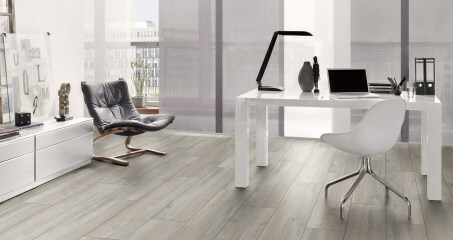 The first choice in flooring to create new inspirations and grand impressions!